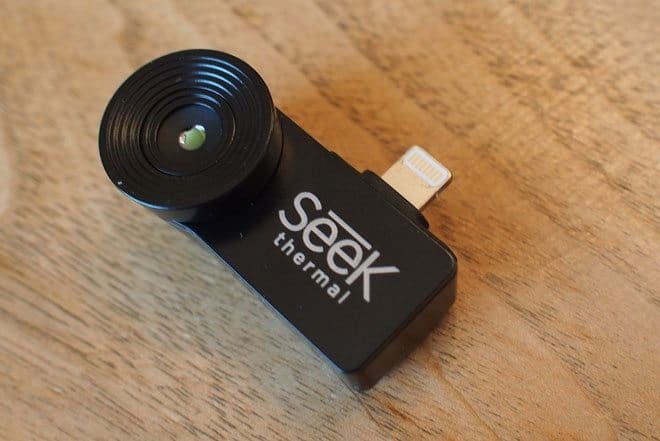 We’ve used professional thermal imaging cameras from Milwaukee Tool and other manufacturers, but the Seek Thermal camera is the first one that turns your smartphone into a thermal imaging camera. 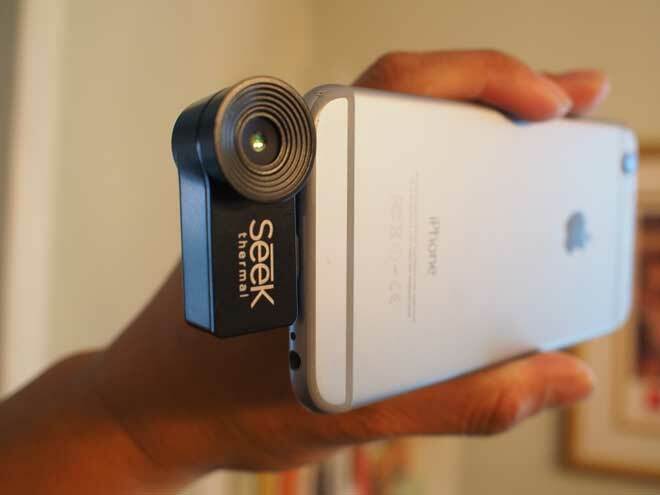 You simply download the app, plug in the camera, and you can start viewing your home and taking photos. 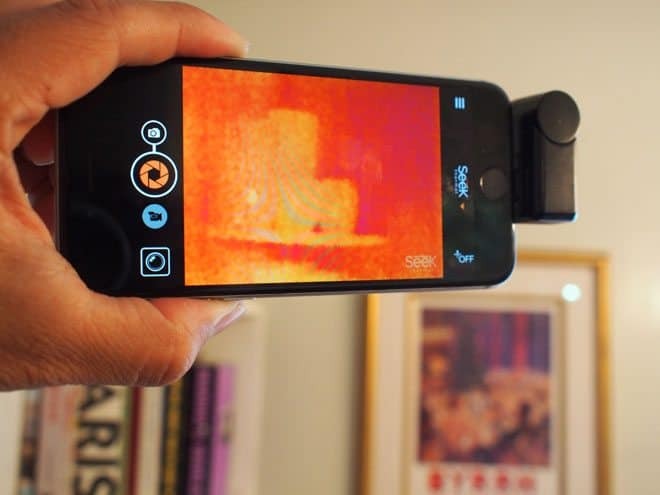 Priced at $249, the camera plugs into iOS and Android devices and works with a free app to convert heat energy into an image that can be seen, and recorded, on your phone or tablet. 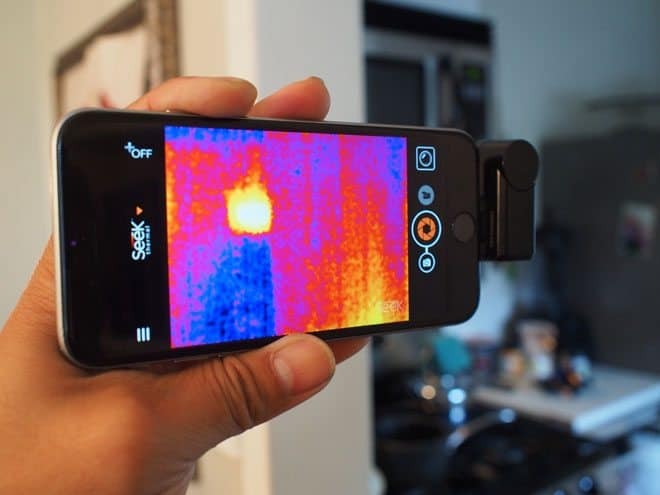 It allows you to detect and assess the unseen problems in your home – like water damage, loose wires, poor HVAC performance – and can even help cut your energy bill by exposing energy inefficiencies. Here are some photos we took of the camera in action. 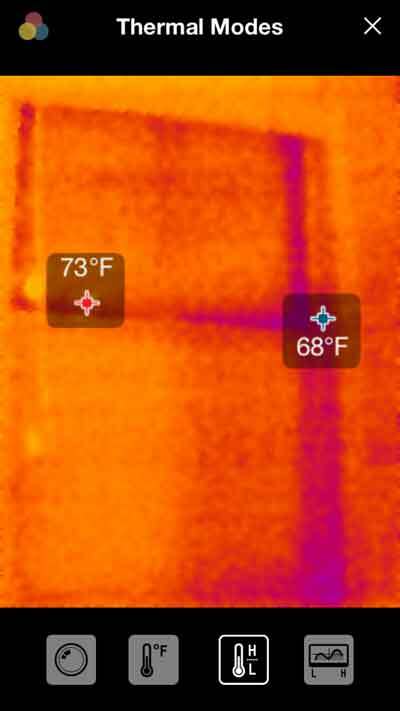 Note, our floor heater only has a pilot light on but it’s sensitive enough to show a lot of heat (and heat loss) from our heater. 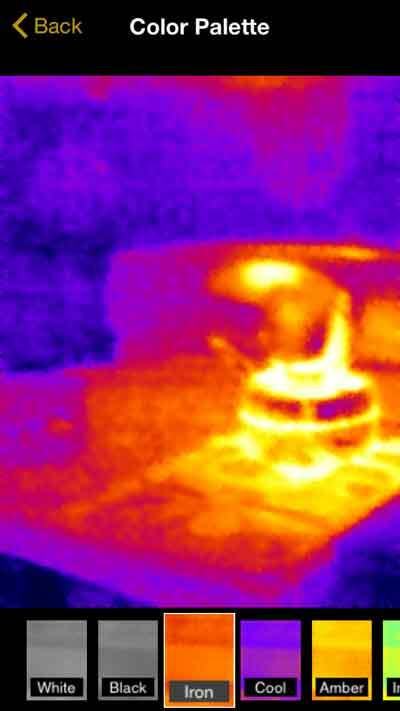 The kettle on the stove had been off for a couple hours but you can still see the heat radiating form it. 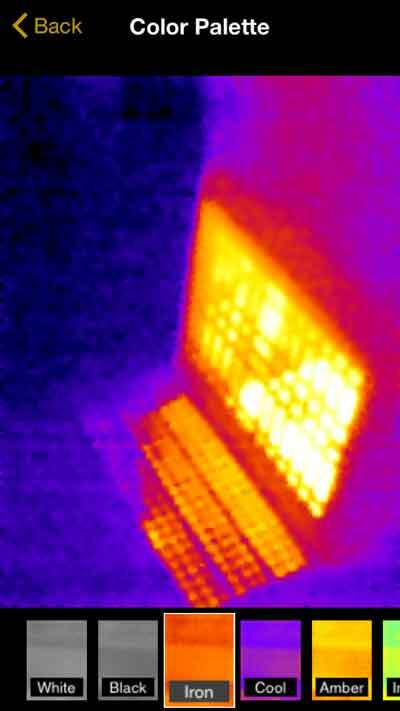 I also detected my body heat from a reflection in the mirror and our refrigerator. This is an amazing device that provides instant results and can be extremely helpful when doing your own energy audit.